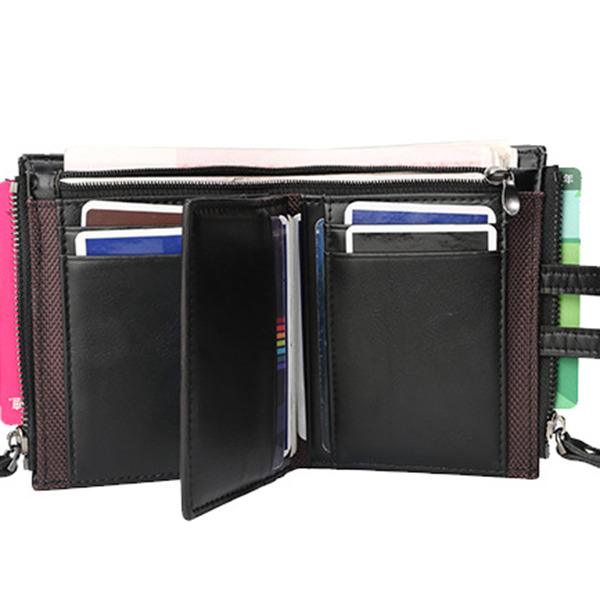 A very nice looking and particularly comfortable wallet. Bought this wallet especially for travel and loved it. It has lots of pockets to secure your cash or cards. One of the main sleeves is big enough to accommodate the large size currency. The leather quality and feel is good. Loved this product and highly recommend it. Very useful. Good looking and a lot different places for cards.